Want to run Clod wheels on your Wraith? These machined aluminum wheel wideners provide the extra width needed to allow you to fit the larger Clod wheels & tires to your rig! They also provide extra stability for your truck. These add a total of approximately 1" of width to your truck, and are designed to fit any 12mm wheel and/or axle. 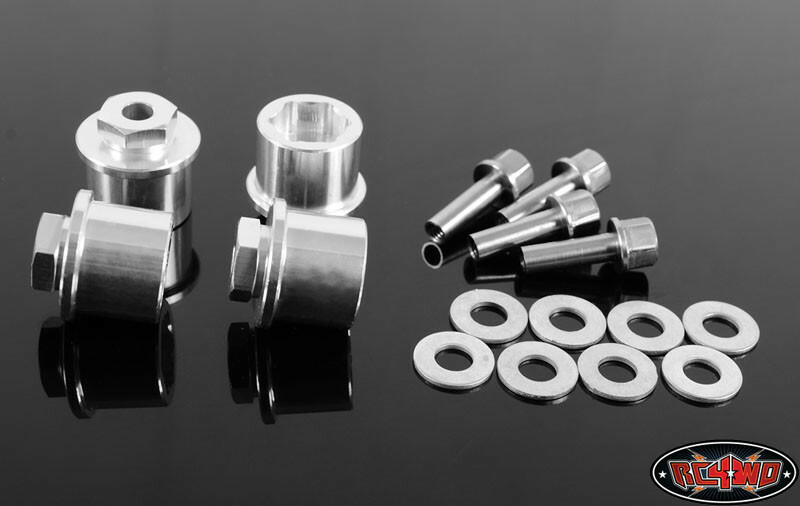 Each kit comes with a full set of 4 machined aluminum adapters and a set of four m4 barrel nuts for installation. Notes: Blue Loctite recommended when installing barrel nuts to ensure they do not loosen during running. These spacers also require you to also use the stock Clodbuster drive hubs. These are available separately under either P/N CPE-HUBCLOD or CPER-B5. This product was added to our catalog on 12/22/2014.